The Maserati Quattroporte Ermenegildo Zegna Limited Edition concept car to be unveiled at the Frankfurt Motor Show features a unique new look in colour scheme, materials and finish. The car, presented as a limited edition concept, is intended for development into a production version in 2014 and will maintain the same personality and quality of the current Quattroporte range. 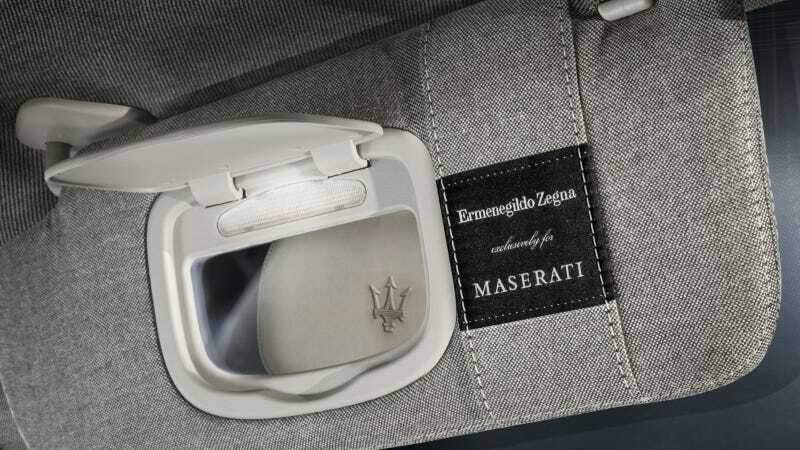 Ermenegildo Zegna's concept for the Maserati Quattroporte limited edition is the result of a close collaboration between two companies that are linked by history, tradition and exclusivity. The material and chromatic research behind the Maserati Quattroporte Ermenegildo Zegna Limited Edition is based on a play between the classical and the contemporary.